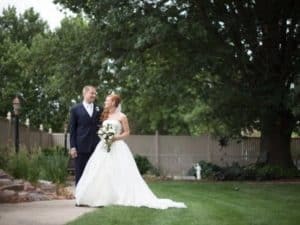 Your big day has passed and your photographer sends you all your photos – and you love them! But you can only choose a few to include in your wedding album. How, oh how do you choose? This task can be overwhelming and stressful, yet, if you slow down and put some time into it – you won’t be disappointed! In today’s blog post; I’ll provide tips, tricks and hints for choosing the perfect photos to include in your album. Once you have chosen the photos that mean the most to you, you’ll recall your beautiful love story. Receiving your wedding photos can be exciting yet overwhelming. You’ll want to make sure you have someone else to look at them with you. Choosing a neutral party (if it’s not your new spouse) can help. They can look at them with a kind eye and not make comments that will stress you out even more. Listen to your instinct when you first look at your wedding photos and write down the photos that jump out at you. Don’t think too much about it – write down 20 or 30 of your favorites. You will then weed out the bad photos (of those have guests blinking in them for example). Group the photos into categories: getting ready, the wedding ceremony, reception. Don’t forget key moments, like speeches, cutting the cake, first dances, candid photos etc. keep organized and keep it going. Set aside a good block of time to choose your wedding photos because it will take about six hours on average. 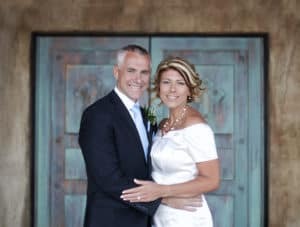 You didn’t plan your wedding in a day – you worked hard and put a lot of time into it so you’ll want to do the same for your album. Making sure you have the best photos to show for it will help you remembeallof the best moments of the day. Even if you don’t want to think about it – choose 20 to 30 of your favorites before you do anything else. Imagine you’re “writing” a book that has no words. What story do you want to tell or portray? Make sure you have all the important people represented too. Then mix it up! Make sure you have candid shots, formal shots and those between. You can also mix black and white photos with colored photos. Do one black and white photo for every three color photos to get enough variety (this is my opinion). 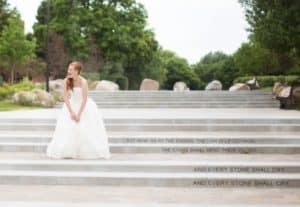 It’s up to you in how you tell your story and how you want your wedding album to look. Don’t forget the detail shots either but group them all together so they don’t overpower the people shots. These are those close up photos of your flowers, rings, favors, food and even the venues. Now the fun part begins – putting your story together to make sure it flows. As a photographer, I will usually send you your proofs in order from the day for you to look at online. Remember that you’re telling a story so don’t feel like you have to keep your photos in order. You can stray from the order and make it as you wish. Another important piece to remember is flow. Pay attention to how one section leads to another. Make your album eye catching with a flow, choose photos with meaningful transitions. For example: a photo of you both walking away from the ceremony holding hands might be a great transition into cocktail hour. You can also experiment with page layouts. Some pages will have smaller, staggered options to place photos, whereas other pages may have larger 8×10 portrait options. You can use a program like Microsoft Word to design layouts so you can see how it looks. I’m always available to help to ensure your album is as perfect and timeless as you desire. 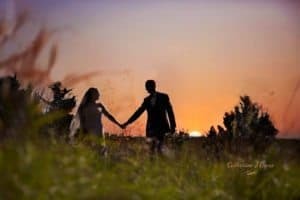 I think this post will really help your clients when it comes time to get their wedding album done! I have been married almost 13 years and it took me almost half that time to sit down and put the album together. Sometimes we need a kick in the pants to get us moving. This is a very helpful post for every kind of album. It’s sometimes so hard to exclude great images, but making list as you suggest helps prioritize. Thanks for the wisdom!